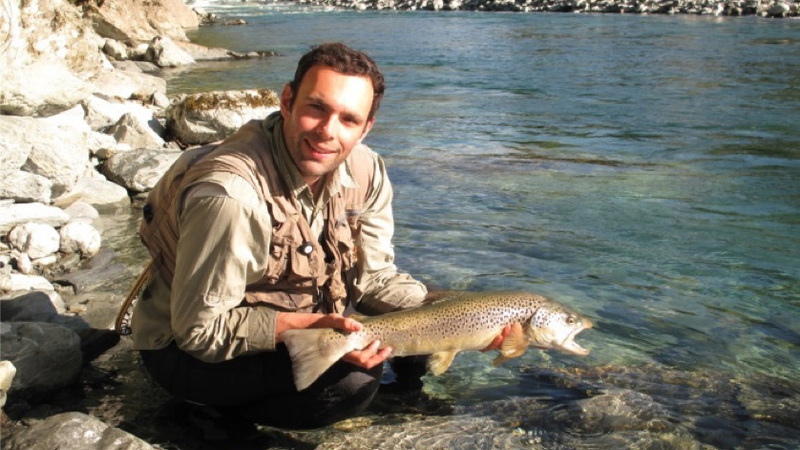 Dr John Morrongiello will be coming to the club to speak about the effects of climate change on trout in Victoria. Australian brown trout hail from the cool rivers of southern England and were first brought to Tasmania some 150 years ago. Since then, they have successfully been stocked, and naturally spread, throughout the foreign rivers and streams of southern Australia. The fact that trout have historically thrived in Australian waters and now support a valuable recreational fishery is testament to their amazing ability to adapt to new environments. But what will the future hold, and what can we do to help our trout fisheries? Southern Australia has recently experienced a period of prolonged drought that greatly impacted on our trout populations. Although many of our trout fisheries have recovered from this intense dry period, climate change will continue to pose a risk to trout’s future survival. I will discuss a range of options fisheries managers and anglers have available that could help ensure the future viability of our trout fisheries. John is a keen flyfisher who lives in the Macedon Ranges. He is also a lecturer of Marine and Freshwater Biology at the University of Melbourne. John has broad research interests, ranging from understanding how fish respond to altered flow caused by drought or river regulation, to broad-scale assessments of long-term change in major commercial fisheries. John is particularly passionate about doing research that helps sustain viable recreational fisheries, and science education and community engagement. Should be a really interesting talk, one not to miss!